David Grindle, CPA, CFE, is a partner at Simione Macca & Larrow LLP. He has over 25 years of experience in public accounting. His experience in public accounting includes federal and state corporate tax, partnership and individual tax planning, consultations, audits and compliance reviews. In addition, he has over 13 years of experience as a Certified Fraud Examiner. His experience as a certified fraud examiner includes providing forensic accounting services to attorneys and business owners involved in litigation of white-collar crime. Dave’s prior experience includes management positions in a national CPA and consulting firm. 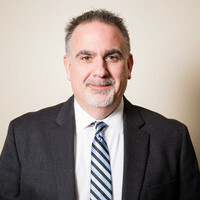 He is a Certified Public Accountant, a member of the American Institute of Certified Public Accountants (AICPA), the Connecticut Society of Certified Public Accountants (CSCPA) and the Association of Certified Fraud Examiners (ACFE). Dave is also a Certified Fraud Examiner and Certified in Financial Forensics. Dave received his Bachelor of Science Degree in Accounting from Quinnipiac University.